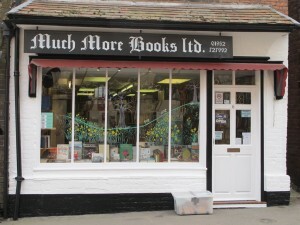 Much More Books Ltd is a family business that has been trading for over 10 years selling out of print, second-hand and rare books and more recently music. During the booming age of the Internet, we are continually updating and adding to our ever increasing online stock; available online AND in-store for purchase. You will find a wide range of CDs, DVDs, vinyl and books to choose from. Check out our Ebay shop: HERE for all vinyl listings and our Amazon shop HERE for CDs and books.